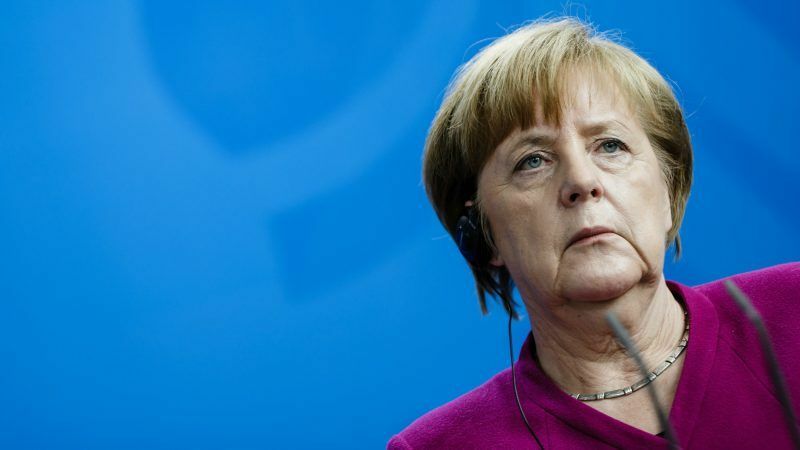 German Chancellor Angela Merkel faced a tense showdown yesterday (14 June) within her divided conservative camp over the flashpoint issue of immigration that could threaten her political future. Merkel was confronted with an open rebellion by her hardline Interior Minister Horst Seehofer, long a fierce critic of her liberal stance on refugees who wants to toughen border controls. After late-night talks between them failed to resolve the dispute, a parliamentary session Thursday was suspended to allow the rival camps — Merkel’s CDU and its traditional sister party from Bavaria, Seehofer’s CSU — to each huddle for strategy talks. Seehofer has demanded as part of his new “migration master plan” that German border police be given the right to turn back all asylum-seekers without valid identity papers and those who are already registered elsewhere in the European Union. German Chancellor Angela Merkel was fighting Tuesday (12 June) to stamp out the first major row within her uneasy coalition, as disputes over her refugee policy returned to haunt her while she negotiates a broad EU asylum deal. Merkel rejects the idea, fearing it would be seen in the EU as Germany going it alone and hurt already over-burdened frontline Mediterranean countries such as Italy and Greece. Currently migrants from these categories are initially admitted into Germany, where their situation is assessed in a bureaucratic process, with some later sent back to their first EU port of call or their country of origin. Merkel pledged to seek a negotiated response on the issue from the EU, which holds its next summit on June 28-29, and to pursue bilateral deals with transit countries such as Italy and Austria. “I see illegal migration as one of the major challenges of the European Union and therefore believe that we should not act unilaterally, or without consultation, and not at the expense of third parties,” she said. But the CSU was adamant that Germany “can’t wait for another EU summit”, with its Bavarian state premier Markus Soeder declaring that “we must think about the local population, not just the rest of Europe”. The CSU’s Alexander Dobrindt insisted Seehofer has the authority to order police to turn back the migrants — a potential act of open defiance that would force Merkel to fire him, sparking coalition chaos. 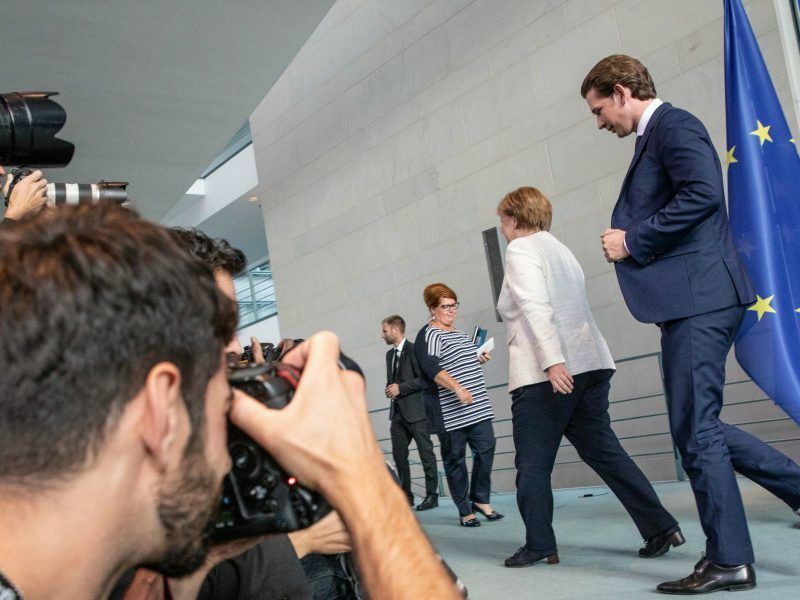 Dobrindt said the CSU party leadership would meet on Monday to make a final decision, appearing to set Merkel an ultimatum to relent or face a make-or-break government crisis. Merkel, the longest-serving EU leader, had Wednesday called immigration “a litmus test for the future of Europe” — but the issue has once again turned into a test of Merkel’s own grip on power at home. The opposition Greens party voiced “deep concern about a real government crisis” which put Germany “at a crossroads, to choose humanity, solidarity and the rule of law, or say goodbye to all these values”. Seehofer has long fumed at Merkel’s decision to open German borders in mid-2015 to a mass influx of over one million asylum seekers, although the government has sharply restricted entries since. At the height of the crisis, tens of thousands of people fleeing war and misery in Syria, Iraq, Afghanistan and other countries crossed the Austrian border into Germany per day in the Alpine state. The mass arrivals, together with some high-profile crimes committed by migrants since, sparked the rise of the far-right AfD party, which entered parliament last year, upending German politics. Merkel’s CDU and the more conservative CSU have for decades been sister parties that form a single parliamentary faction. 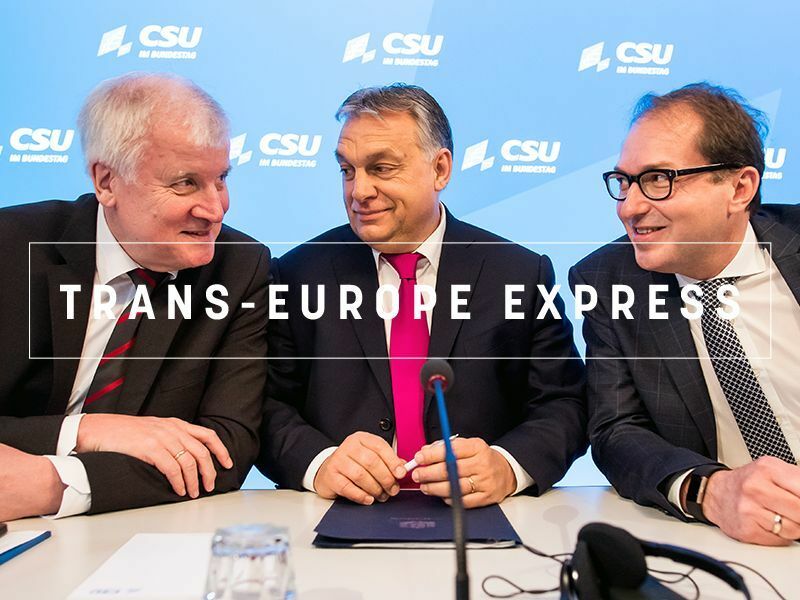 But the emotional immigration issue has opened a rift between them that is deepening as the CSU faces an electoral threat by the AfD in a state poll in October. In the tense stand-off, an unnamed CSU lawmaker threatened that the party could end its seven-decade-old parliamentary unity with the CDU, reported the regional Augsburger Allgemeine daily. Seehofer, in sharp contrast to Merkel, has voiced open sympathies for right-wing populist governments that are tough on immigration, from Hungary to Austria and Italy. On Wednesday Seehofer boycotted Merkel’s “integration summit” of volunteers and agencies that support refugees, saying he objected to the presence of a critical journalist there. The same day he met Austrian Chancellor Sebastian Kurz, who announced at a joint press conference that the interior ministers in Vienna, Rome and Berlin had formed an “axis of the willing” to combat illegal immigration. oh we should support Mrs Merkel plan for immigration in Southern Europe. But Mr Rutte (NL) asked for less Europe. Maybe we should also convince him.